Soft Matter is a variety of physical systems that are deformed or structurally changed under a thermal or mechanical stress of the magnitude of thermal fluctuations. They include liquids, colloids, polymers, foams, gels, granular materials, liquid crystals, and some biological materials. Therefore, the study of soft matter is a fundamental interdisciplinary science between physics, materials science, biology, chemical engineering, and chemistry. This Conference is designed to provide a broad perspective on the fundamental science and contemporary research in soft matter science. It covers four different aspects of soft matter science: nonequilibrium, materials, biological physics, and theory. For the Conference, 12 speakers are invited and each will give one-hour oral presentation. 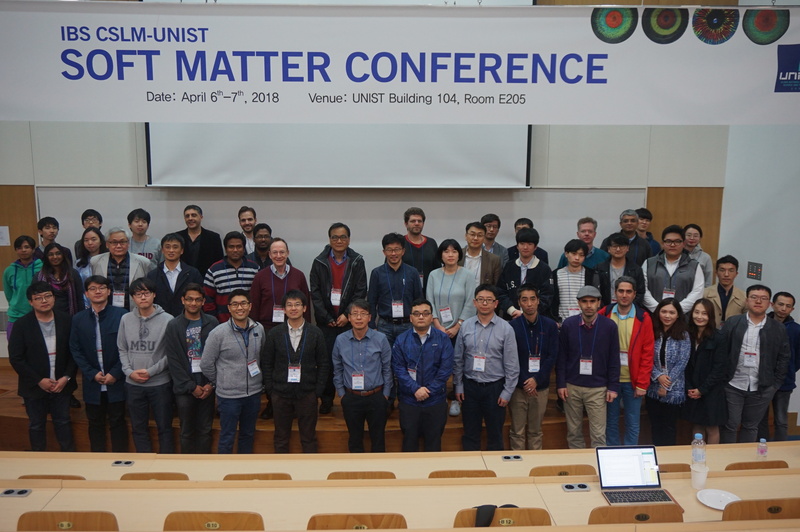 The Conference is hosted and sponsored by IBS-CSLM (Korea Institute of Basic Science - Center for Soft and Living Matter) and UNIST (Ulsan National Institute of Science and Technology).